If you have ever wanted to be a part of the Stampin’ Up! family the Christmas In July promotion offers the perfect time to join – for a couple of fabulous reasons! 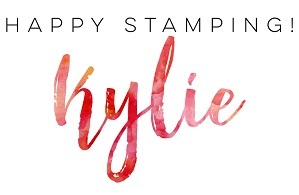 Firstly, Stampin’ Up! 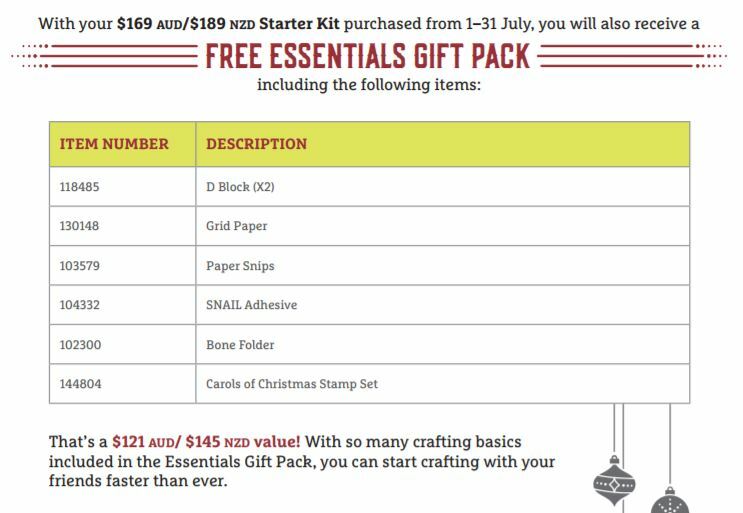 is offering a fantastic “Essentials Gift Pack” when you sign up. It features a brand new Christmas stamp set which hasn’t been released to the public yet! Only current demonstrators have access to this stamp set now! 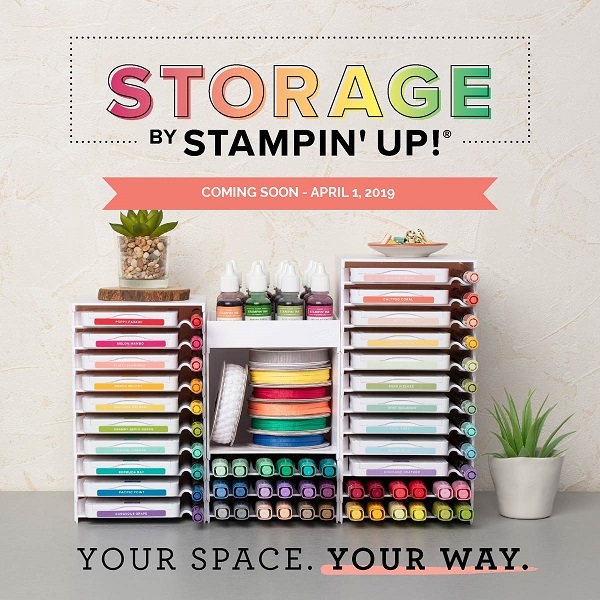 And speaking of items which haven’t been released – another awesome perk of being a Stampin’ Up! 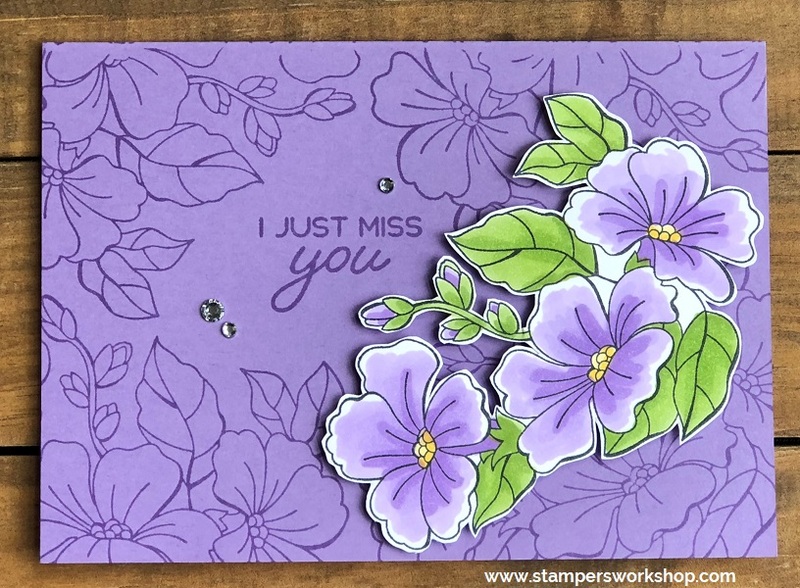 demonstrator is that we get to see any new Stampin’ Up! catalogues before they are released. We also get to ORDER from these catalogues too – usually a month earlier than everyone else! It’s a great bonus! Stampin’ Up! has just unveiled the new Holiday catalogue and by signing up today you could be looking through it within minutes! Let me tell you there is something for every crafter within its pages. My wish list grows every time I flip through it. Another benefit of joining now is that from August 1st, 2017, you too could take advantage of pre-ordering from this catalogue – and with a demonstrator discount of 20%! Gotta love a discount! Here are the extra’s you will get if you join before July 31st, 2017! (Don’t forget about the current Christmas in July Bonus Days Promotion. It ends July 31st, 2017. Click here for more information). With the launch of the new 2017-2018 Annual Catalogue only a few short weeks away, there is a lot of excitement about the new things which are coming. One of the benefits of being a Stampin’ Up! demonstrator is that we not only get to see inside the new catalogue before it is officially released, we are also able to pre-order a selection of these new items. I had to take advantage and placed my pre-order last week. Now that it has arrived I am thrilled to share some of these fabulous items with you. I’ve put together a little video so you can actually have a closer look at the items I received. Did you have a favourite from the pre-order? I’ve already started to create with the Bright Wishes stamp set. The well is gorgeous! I’m also planning to work with the Eastern Medallions Thinlits dies to show you just some of the many designs you can come up with. 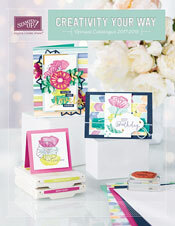 It’s going to be such a great must-have set, especially when you combine it with the Layering Circle Framelits dies. I foresee a lot of creating coming for me…and I cannot wait! Even though I cannot show you the inside of the catalogue, I can show you the front cover. Isn’t it pretty? You’ll love what is inside – something for everything. Don’t forget it goes live on June 1, 2017. Whilst we are all excited about the new releases, don’t forget time is ticking on the current catalogue as it is retiring on 31st May, 2017. If you are wishing to grab a few things before the catalogue finishes, now is the time. Don’t forget some items have been discounted so you just might find yourself with a bargain! As a Stampin’ Up! Demonstrator, I get to Pre-Order some of the fabulous new products from the NEW 2017-2018 Annual catalogue and that is exactly what I did today! Cannot wait for my new goodies to arrive! I’ll be sure to share when it comes. 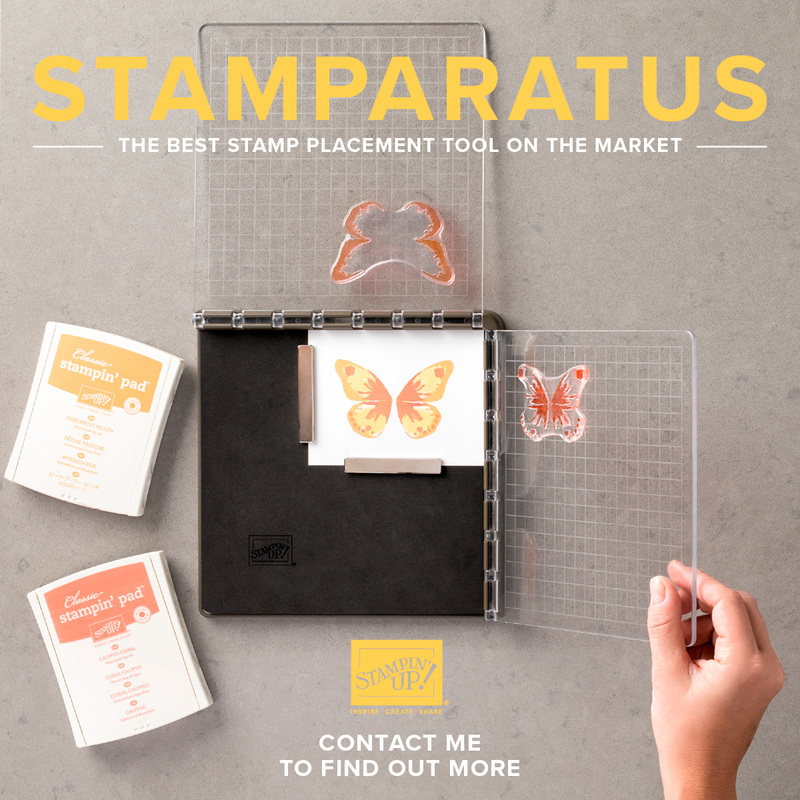 If you’ve been thinking of joining Stampin’ Up! and you would like to take advantage of this pre-order, now is the time to join. Don’t forget you can add these pre-order items to your starter kit. How fantastic!